Strategically located as a base for boaters to explore the Sound, this anchorage is an elongated bay dotted with islands, small coves and passageways. This is a marvelous place to explore by kayak, paddling among small coves, inlets and islands. Ashore, interesting tidal pools and marshes will enthrall you with an abundance of marine organisms, birds and waterfowl. The pristine waters of Desolation Sound are surrounded by steep evergreen mountains, all teeming with the wildest of wildlife. One of the prime attractions of these waters is their warmth in summer months, which makes them ideal for swimming and snorkeling. The scenery is less severe than many of the other sheer-sided waterways along the central coast, although just as majestic. Snow capped peaks of the Coast Mountains soar from the tideline to heights of 7,875 feet (2400 m). Many yachtsmen regard the Desolation Sound area as not only the most beautiful and varied cruising area in BC, but equal to, if not better than any other area in the rest of the world. 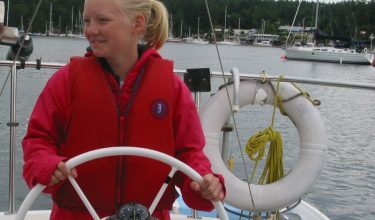 In the variety of spectacular scenery, warm summer climate, abundance of shelter and anchorages, this area is a microcosm of all that is best about salt water cruising in British Columbia.